Choose any course and receive a second course of equal of lesser value for free! Offer good through12/31/2017. When you submit payment for your course, include your free choice in the notes on paypal OR send an email to staff@faldp.org with "My Free BOGO course" in the subject line and we'll send you the course link. *This offer does NOT apply to course bundles and cannot be combined with any other specials or discounts. 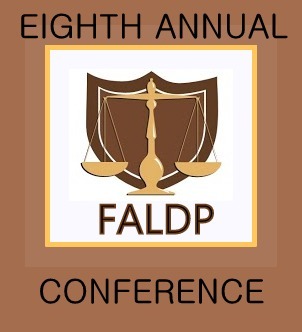 We have rescheduled our 8th Annual FALDP Conference to Saturday, May 5, 2018. The conference will be held at the Fountain Beach Resort in Daytona Beach as was originally planned. Our agenda and guest speakers will be substantially the same. The $95 conference fee is the same, and if you did not previously register for the conference, we will offer the same combination of conference fee and membership/ renewal fee as we usually do. The agenda and conference registration will be up on our site within the next week. he accommodation rates for the new May 5 date have increased slightly. Accommodations at the Fountain Beach Resort for conference attendees are $89. per night. We encourage you to register for the conference and make your reservations early. The discount code for accommodations will be provided to you once you register for the conference. Although there is no public event that weekend (besides our conference), spring in general is busier than the fall.So, make your plans and register early. For those of you who already registered for the conference in September, you are entitled to a refund, providing you request the refund by December 31, 2017. The conference date for September 16 had to be postponed due to looming Hurricane Irma. Reservations at the Fountain Beach Resort for registered attendees were canceled as well. 1. You can request a $95 credit for the conference which will be applied to the conference fee when it takes place. In addition to the $95 conference fee we will also waive your membership fee for next spring - $75. 2. You can request a $170 credit to apply towards any of our online courses. 3. You can request a refund of $95 for the conference fee. If your conference fee was waived because of a special offer such as a three course bundle – you are entitled to a credit in the amount of $95 for either the conference fee or toward online course fees, but not a refund. Please note if you are requesting a refund and you paid through paypal, we can refund you through paypal if you have a verified paypal account. If you paid through paypal as a guest and do not have a paypal account we will issue you a paper check. The reason for this policy is that if you did not pay through a verified paypal account, and simply used a debit or credit card, paypal will not credit your card. If you do not request a refund we will assume that your choice is to attend the conference on May 5, and have your renewal fee waived. This was our very first online course, created in 2011, and added to over the years. 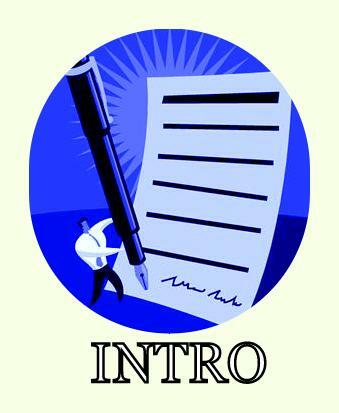 It is a compliance course to keep document preparers safe in the marketplace. The course explains as many of the fine points as we know about avoiding the unauthorized practice of law. In the next several months, after we have expanded it once again, this course will be mandatory for new members. We already require new members relocating from other states to take this course; and recommend this course to new members who only have law firm experience. Beginning January 2018, new members are required to take the New UPL Course when applying for FALDP Membership. The course fee for new members is $59. All existing members are required to complete the course prior to membership renewal. The course fee is waived for existing members. According to history.com, in 1643, the first record of a legal divorce in the American colonies, Anne Clarke of the Massachusetts Bay Colony was granted a divorce from her absent and adulterous husband, Denis Clarke, by the Quarter Court of Boston, Massachusetts. In a signed and sealed affidavit, Denis Clarke admitted to abandoning his wife, with whom he had two children, for another woman, with whom he had another two children. He also stated his refusal to return to his original wife, thus giving the Puritan court no option but to punish Clarke and grant a divorce to his wife, Anne. The tradition continues ... family law document preparers know that inquiries and requests for divorce assistance spike during January -- even to this day, nearly 400 years after the first recorded divorce. The reasons consumers most frequently give for their choice of month, is that they did not want to upset the children, the in-laws, or life in general over the holidays. They wait, sometimes biting their tongues and holding their breath until Christmas is long gone and the New Year's party is well over before making the move to file for divorce. The decision to file for divorce may have been made months earlier. Filing for divorce is a stressful time for all involved. There are almost always emotional issues, financial issues, and property issues to be sorted our and worked through. Here are some do's and don't's from someone who has been through it personally a time or two; and prepared documents for hundreds of divorces. Try to settle as many issues amicably as you possibly can. Tell the children of the pending divorce in a reasonable and loving way, assuring them that you will always be a family -- its just that Mom and Dad will no longer be married. Cherish the memories. Even if the love has died, remember that you loved this person once. Take care of yourself by making sure your support system is intact - whether it is your friends, a formal support group, a counselor, or divorce coach. If there are children of the marriage, be especially aware that the children are experiencing as much or more upheaval than you are due to the pending divorce. Resist the temptation to involve yourself in a new relationship too soon. Allow yourself to be pulled into needless emotional turmoil. Let your guard down completely. 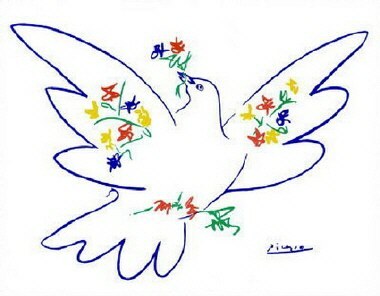 Even though you want it to be amicable, that doesn't mean that you need to be careless. Manipulate the children to hurt your soon to be ex. Hide money. Be truthful about your finances, and expect the same from your spouse. Say unkind things about your ex in front of the children, other family, or friends. Don't dwell on blaming your spouse, the blame game doesn't help anything. Document preparers may not provide legal advice or representation. Obvious as it sounds -- document preparers prepare documents. We can also give legal information and explain procedure. Most family law document preparers are also good listeners and don't mind hearing their customer's stories. Sometimes consumers ask whether they need an attorney. There is more than one answer. If both parties are in complete agreement and understand exactly what they're agreeing on, then there may be no need for an attorney. If someone thinks they need an attorney, then they probably do. If the customer is afraid of going to court without an attorney; they expect nothing but a fight; feels bullied by their spouse; their spouse has an attorney; or if English is their second language are all good reasons to retain an attorney. A pro se litigant can always retain an attorney if the proceedings become contentious. Family law attorneys are specifically allowed to unbundle their services, they are not required to take on the entire case. Document preparers charge on average between $200-$300 to prepare divorce documents, usually as a flat fee. Attorneys hourly rates may well be $200-$300 per hour. The Florida Association of Legal Document Preparers has member document preparers throughout the state, many of whom prepare divorce documents. To locate a document preparer in your area for assistance, look through our member directory or call 800-515-0496. We're here to help. 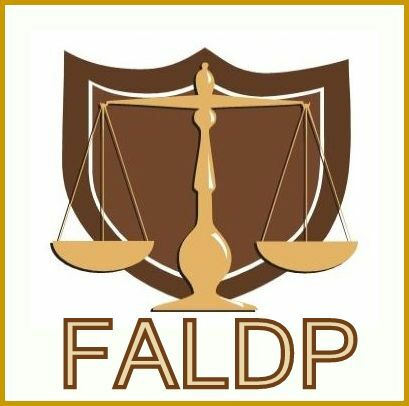 The FALDP logo is a Registered Collective Mark specifically for members in good standing of the Florida Association of Legal Document Preparers. As long as you are a member of our association, you are authorized to use our logo in any and all of your advertising, including print and virtual. We expect former members to stop displaying our logo within 30 days of terminating membership. We know that some members will drop out to go to work in a different field, or take a position with a law firm, or any number of reasons that FALDP is no longer the right trade association for you. We protect our mark vigilantly to protect all of our members. We know that document preparers join us to add credibility to their services, because joining a trade association shows consumers that you're serious about your business. For that reason, we are zealous about infringement on our mark. As you probably know, I'm not an attorney. I am a Florida legal document preparer. What that means is, I can prepare documents, give you legal information, and explain procedure. I cannot offer advice or representation. But I will answer your question as I can. Sometimes I have to interrupt their question to get these words said. I don't mind ... better safe than sorry. I would never want a consumer to be misled about what I can and cannot do.